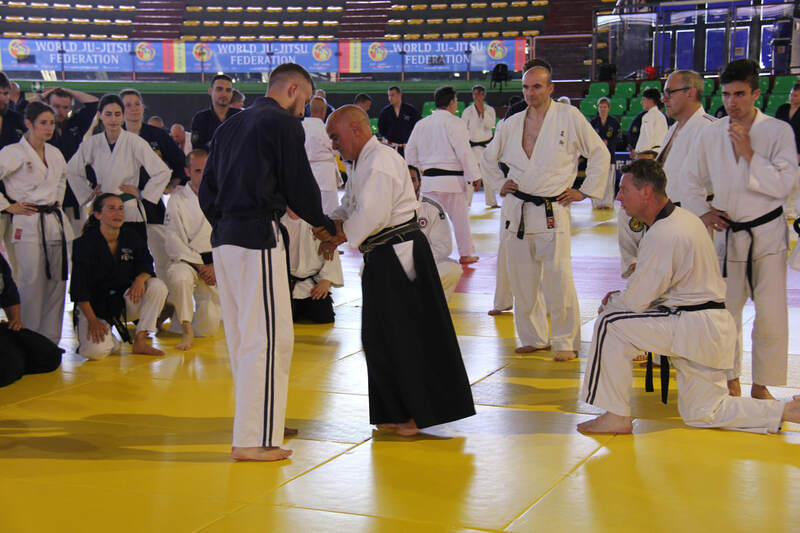 ​USMAF is Partnered with several other National Martial Art Organizations to include; United States Ju-Jitsu Federation (USJJF), USA Traditional Kodokan Judo (USA-TKJ), USA Karate Federation (USAKF), Central Taekwondo Association of the USA (CTA-USA) and USA Aikido Association (USAAA). USMAF is the All-Inclusive USA National Martial Arts & Combat Sports Organization. USMAF regularly conducts Seminars, Camps and Competitions across the USA. United States Martial Arts Federation (USMAF) ​founded in 1967, is part of the Official Coalition of USA National Organizations and is the USA National Member of the Martial Arts International Federation (MAIF) and the International Kwanmukan (KMK) with the purpose of unifying the Martial Arts community in an atmosphere of mutual respect and cooperation. There are many benefits to joining the USMAF, and you will see each of those benefits listed here with much more to come..!! Join Our Group on Facebook..!! The MISSION of the UNITED STATES MARTIAL ARTS FEDERATION is to unify American Martial Artists with a foundation of mutual respect for all systems or styles of the ancient Martial Arts as well as provide services and guidance to foster Technical Excellence, Fellowship and Human Character Development. AVAILABLE..!! Books & Posters from Kiai Budo Shop..!! 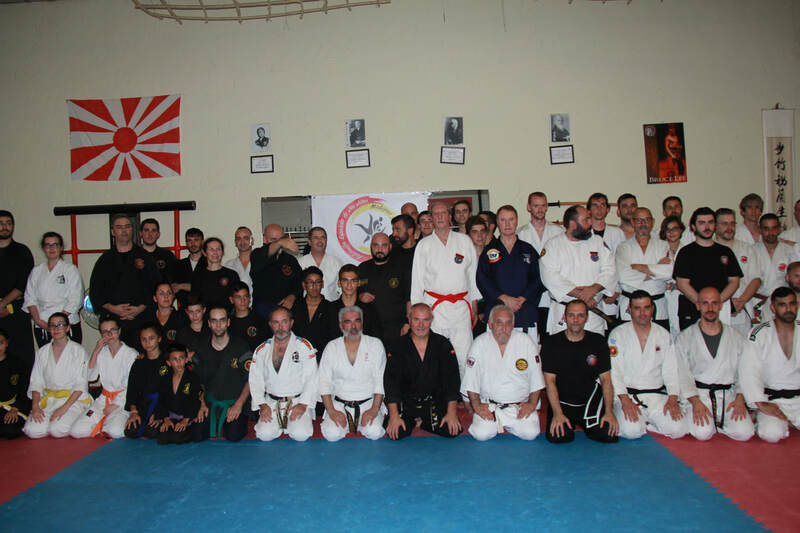 USMAF is the USA National Member of the Martial Arts International Federation (MAIF) which was established in 1998. Also, associated with the World Ju-Jitsu Federation (WJJF) & World Ju-Jitsu Kobudo Organization (WJJKO) which was established in 1976 and has over 35,000 Registered Black Belts Worldwide.. USMAF supports the goals of The Association For International Sport For All (TAFISA) recognized by the International Olympic Committee (IOC)..
Upcoming International Seminars & Camps Sanctioned by USMAF IN 2018..!! ACTION & TRAINING EVENT SHOTS..!! USMAF President Bruce Bethers presenting to Jorge Delgado (USMAF Vice President) his International Rokudan Grade from WJJF-WJJKO..!! - New Advanced Ju-Jitsu Book - 1st Dan thru 5th Dan - Coming This Fall.!! - JOIN TODAY as an "ALL AMERICAN" Member..!! 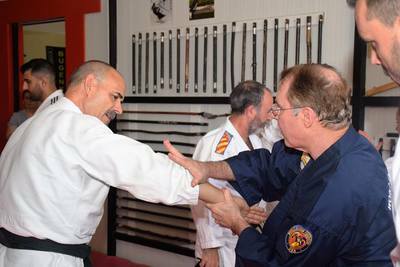 - New Books & Technical Posters from Kiai Budo Shop..!! Great Gathering at the 2019 Hall of Fame..!! Bruce Bethers - USMAF President & Roger Jarrett - USAMAF President at the 2019 Hall of Fame..! !